Few days back, we reviewed Tecno Pouvoir 2 smartphone and highlighted some key interesting features of that android smartphone. Though, the Pouvoir series are budget smartphones from the top phone maker, Tecno Mobile, but there are still Tecno users who desire a smartphone with bigger RAM size and some upgraded features to the Pouvoir 2, and are willing to pay extra buck for it. So for these group of customers, we say hello to Tecno Pouvoir 2 Pro. Tecno Pouvoir 2 Pro(LA7 Pro) is an upgraded version of Pouvoir 2 smartphone. This latest smartphone comes with a bigger RAM size and a better front camera. That is just the difference between the Pouvoir 2 and Pouvoir 2 Pro. WHERE TO BUY TECNO POUVOIR 2 PRO CHEAP? Like i mentioned earlier; the only difference between the Pouvoir 2 and Pouvoir 2 Pro is the RAM size and more brighter front shooter. Both android smartphones have an identical build and made of plastic material. The Tecno Pouvoir 2 Pro has a regular 18:9 aspect ratio with slim bezels. The latest smartphone is available in blue, black and champagne gold. The thickness figure stands at 8.2mm which is nice considering the big battery inside. Pouvoir 2 Pro comes with 6.0-inch LCD display(same as Pouvoir 2). It also has the same resolution of 1440 X 720 pixels as Pouvoir 2. The major highlight of this smartphone, for me is the battery. The phone comes with a powerful non-removable 5,000Mah battery that can hold power for about 4 days. The is quite awesome. Based on cameras, a little modification was seen on the front camera, which makes it one the difference between the Pouvoir 2 and Pouvoir 2 Pro. The front camera packs a 13MP camera rather than the 8MP camera on the Tecno Pouvoir 2. The rear camera remains the same with a 13MP camera alongside LED flash. Tecno Pouvoir 2 Pro comes with a Quad-core MediaTek MT6737 processor which is joined by a Mali-T720 MP2 GPU. So, nothing has changed. The smartphone added an extra 1GB to the 2GB RAM size the Pouvoir 2 came with, making it 3GB RAM. The internal storage still remains the same 16GB. You can as well increase the storage to 128GB with an external microSD card. Furthermore, the Pouvoir 2 Pro runs on Android 8.1 Oreo. Tecno Pouvoir 2 Pro is widely available in Nigeria, Kenya, and Ghana. You can buy the smartphone at leading online stores and retail outlets in your country. 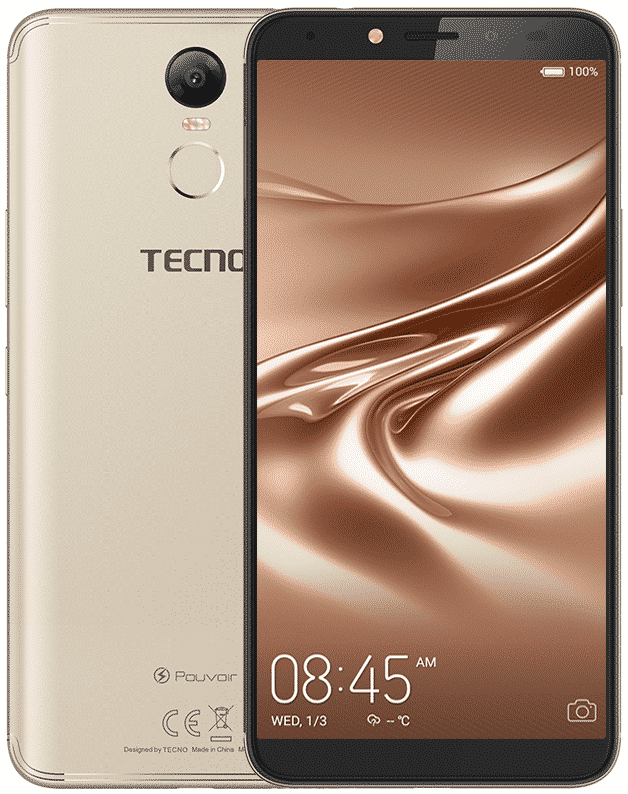 Tecno Pouvoir 2 Pro price in Nigeria ranges from 47, 000 Naira to 59,000 Naira, depending on your location in the country. Having gathered pretty good feed backs from our numerous customers who bought and used Tecno Pouvoir 2 Pro smartphone from our offline shop- especially in terms of battery and camera, I have come to a conclusion that the smartphone deserves 4.5 star rating.